You may sometimes hear a religious figure say that voluntary euthanasia contravenes the sanctity of life. However, as Rev. Trevor Bensch, co-founder of Christians supporting choice for Voluntary Euthanasia, points out, the term ‘sanctity of life’ appears nowhere in the bible. Interpreting selected passages of the bible to mean so is a personal matter for the individual. It’s a human construction. One could equally interpret other passages of the bible to authorise or justify selling daughters into slavery or putting whole peoples to the sword. Voluntary euthanasia does not require anyone to choose it and anyone is free to avoid assisted dying if it offends their personal beliefs and values. Even among the “experts” and “authorities” there is a diversity of opinion. Catholicism has an official position of unqualified opposition to any form of euthanasia. According to the catechism, “Intentional euthanasia, whatever its form or motives, is murder. It is gravely contrary to the dignity of the human person and the respect due to the living God, his (sic) Creator”. But there are Catholic voices expressing disagreement with that position. Hans Küng, a well-known Catholic theologian, has taken a similar position. In his view, “God, who has given men and women freedom and responsibility for their lives, has also left to dying people the responsibility for making a conscientious decision about the manner and time of their deaths. This is a responsibity which neither the state, nor the church, neither a theologian, nor a doctor can take away”. For Küng, “precisely because I am convinced that death is not the end of everything, I am not so concerned about an endless prolongation of my life—certainly not under conditions that are no longer compatible with human dignity”. Her position directly contradicts that of the Church of England, which has argued consistently for no change in the law. Canon Harper was one of three faith leaders backing the Bill during a debate on the issue hosted by Interfaith Leaders for Dignity in Dying in Westminster, London, July 17, 2014. She said she could not believe in a God who would require “the most extreme suffering” simply in order to shore up “her” sovereignty. She argued that a God who offered “freedom of will” would not insist on “extreme suffering” at the end of life when there was a different, better way. Addressing the arguments against, she continued: “First there is the contention that pain can always be controlled. We know that simply is not the case. Anyway – in what way is there value in a person being technically still alive if they are sedated to the point of oblivion? “Secondly, what this bill proposes is infinitely more honourable than what routinely happens now when a dying person is gradually and cruelly starved to death. See Canon Harper on YouTube talking with Ruth Gledhill. Death is better than a miserable life, and eternal rest than chronic sickness. 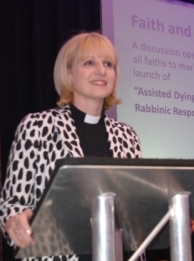 Article courtesy of Interfaith Leaders for Dignity in Dying in the UK- http://www.dyingindignity.org.uk/. "Death is not the end of everything, so I am not so concerned about an endless prolongation of my life—certainly not under conditions that are no longer compatible with human dignity." "Many Christians feel God is not honoured by a person (made in the 'image' of God) abdicating her autonomy and freedom of will and passively submitting to 'fate'." "There is nothing faithful about relinquishing responsibility." "Few would now accept the view that one range of actions belongs wholly to the sphere of human free will and another wholly to God. 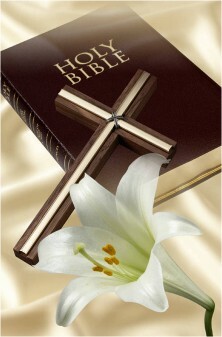 God does not lay exclusive claims to decisions about ending one's life."